Tomato season is upon us. I had some beautifully ripe tomatoes on my kitchen counter, just begging to be used. I figured I would let them be the star of the show with their beautiful deep red color. That and I’ll eat just about anything if you put cheese on it. Are you with me? 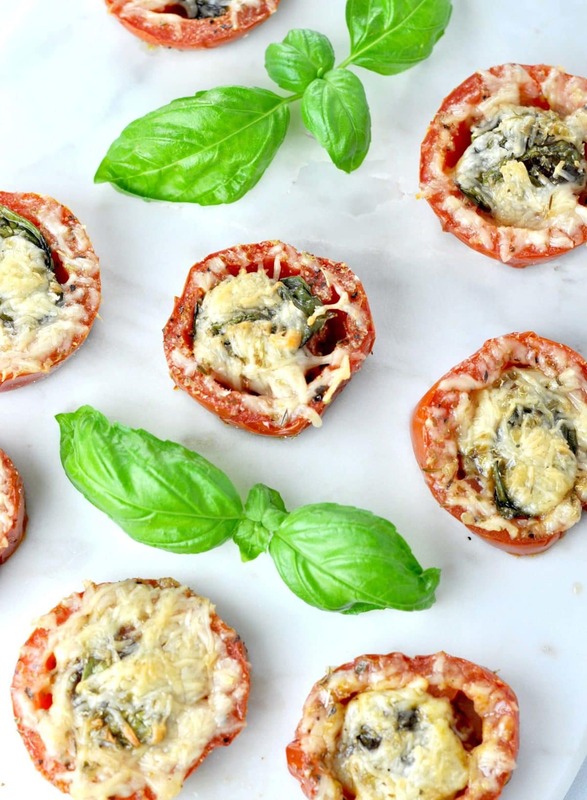 For this low carb Oven Roasted Basil Parmesan Tomatoes recipe I used Roma tomatoes, but you can use any variety of tomatoes you have on hand. Tomatoes aren’t the lowest carb fruit or vegetable in the world, but in my book, the health benefits of tomatoes far outweigh the higher carb count. Besides, I didn’t get overweight in the first place from eating too many tomatoes. Slice the ends off the tomatoes and then slice them into thirds. If you are using a larger tomato that a Roma, you will likely get double the amount of slices. In a small bowl, combine the salt, garlic powder, onion powder, oregano, and pepper. Line the tomato slices in a single layer across the parchment paper. Sprinkle both sides of each slice with the seasoning blend. 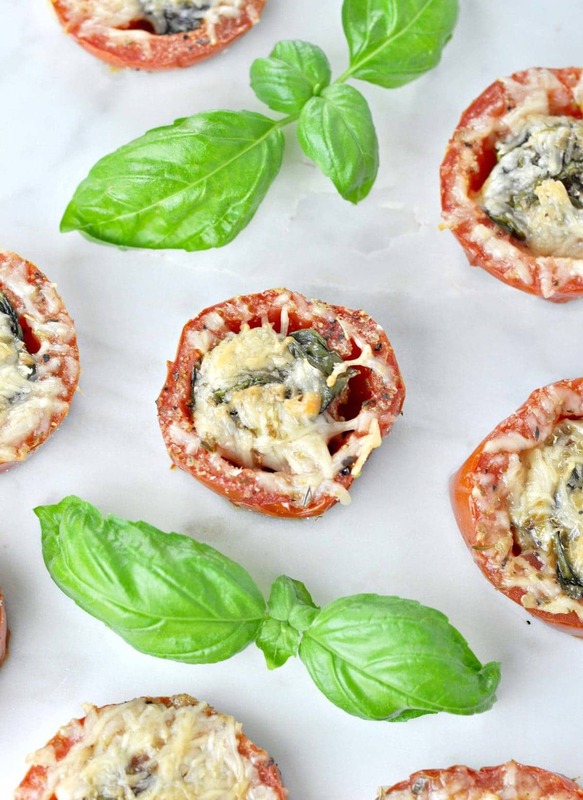 Top each tomato slice with a fresh basil leaf and then top each slice generously with parmesan cheese. 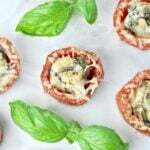 We used a bit of goat cheese instead of parmesan, and it was delicious! Everyone loved them.